2. 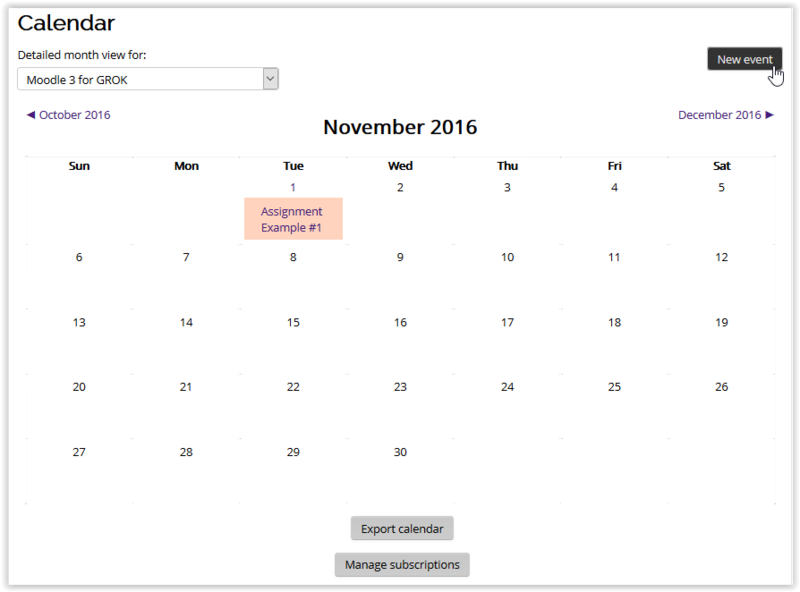 Click on the Month/Year Title on the calendar block to show an expanded view. 3. 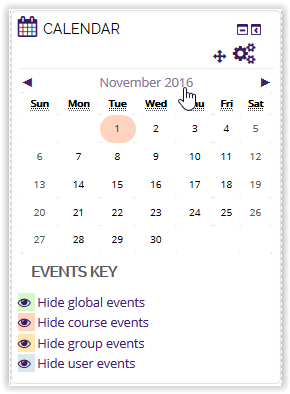 Select New Event in the top right corner of the screen. 4. Enter the required information and change the preferred settings. 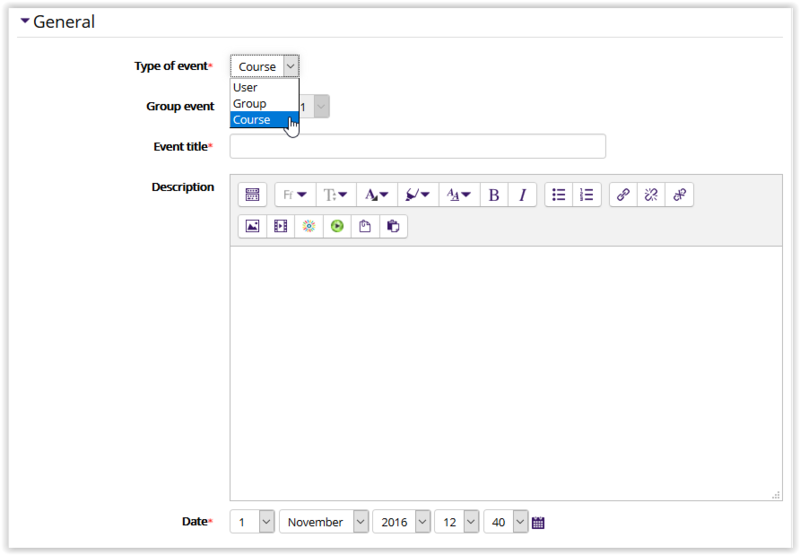 General Settings: Make sure to select Course as the Type of event. 5. Click Save Changes at the bottom of the screen when finished. 6. 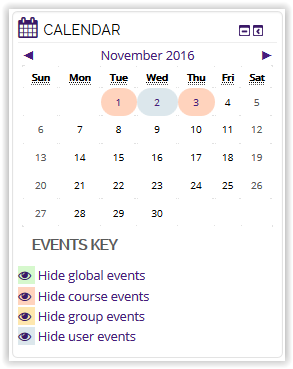 The new Course Event can now be seen in red on the calendar block. 1. To hide course events on the calendar, click Hide Course Events at the bottom of the Calendar block. 2. 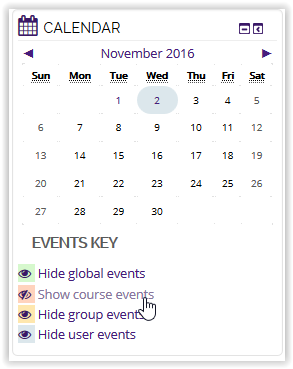 To show course events on the calendar again, click Show Course Events at the bottom of the Calendar block.